Looking to shake up your Tall Drink routine? 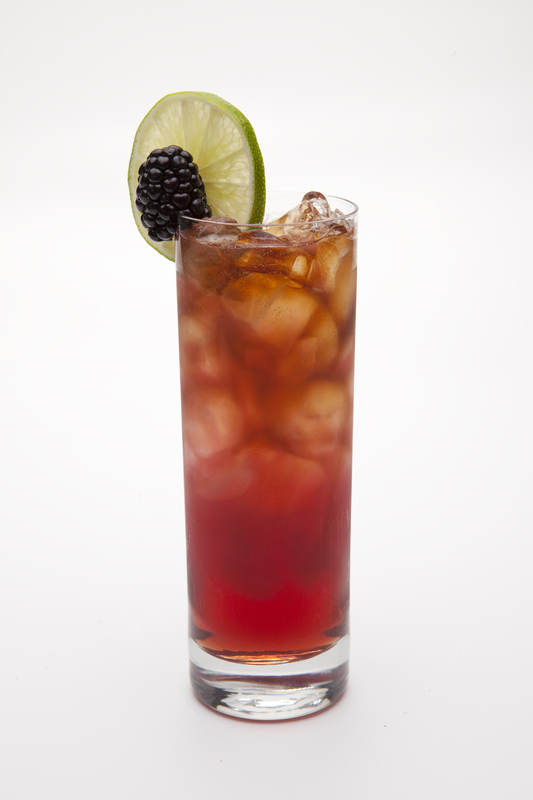 Start with this impressive looking and great tasting Blackberry Twisted recipe. An ingredient like Cola is multifaceted this time of year. Here are two tall drink recipes that call for the use of Cola and various Hiram Walker cordials in the instructions; however, the similarities practically end there. Serve over ice in tall glass, garnish with cherry. Pour brandy and juices into ice filled tall glass. Stir and add splash of cola. Garnish & serve. While unrelated to my post, it just so happens that the Mixoloseum’s Thursday Drink Night theme for this week is Tall Drinks. Unfortunately, I won’t be near a computer that night to watch the action as it happens in the chat room, although I imagine some fantastic drinks will come out of the evening (as per normal!). I’d love to keep featuring some tall drinks on Cocktail Culture all summer long! So tell me – What’s your favorite tall drink recipe? You finally got yourself that bottle of Beefeater Summer Edition Gin, right? Oh, come on, summer is nearly half over! It’s time to get on your A-game and pick one up before this limited edition bottle is no longer available. But what will you make with this light and airy gin? I’m so glad you asked. Beefeater Summer Edition recently sponsored an evening in the Mixoloseum chat room with members of the CSOWG for Thursday Drink Night. With this summery gin as the muse, we had some fantastic recipes developed throughout the evening. Here’s a few cocktail ideas to put that bottle to good use; however, I would be sure to revert back to these guys’ own posts, as they explain their own madness behind their musings. Shake/strain into cocktail glass. Garnish with a lemon twist. I’m also excited to share that I will be attending the Beefeater Welcome Reception at Tales of the Cocktail on Wednesday. If it’s anything like the display they had as part of the Opening Gala at the Manhattan Cocktail Classic, I’m sure the combination of Beefeater, Beefeater 24, and Beefeater Summer drinks will be off the charts! "Black Paloma" cocktail from Rick Stutz, as prepared by Meaghan Dorman of The Raines Law Room, NYC. 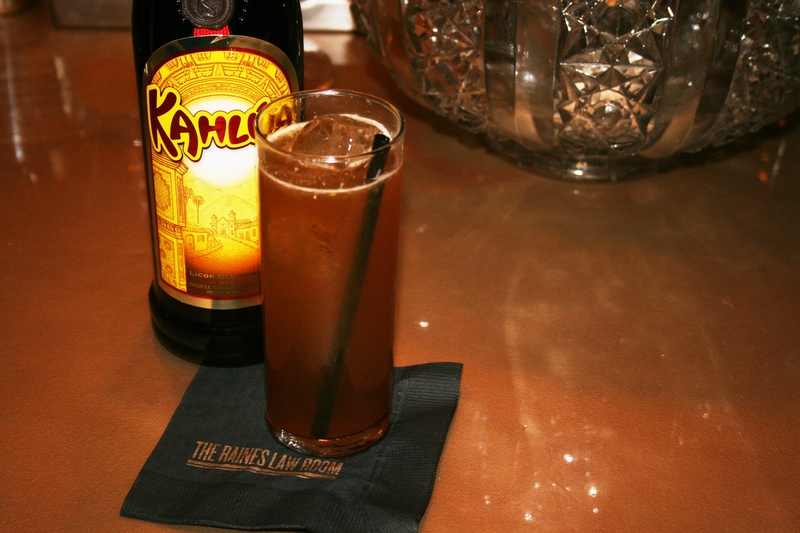 The time has come to finally reveal the drink Kahlúa has selected to feature at Tales of the Cocktail. It’s Kaiser Penguin himself, Rick Stutz, and his exciting “Black Paloma” cocktail! In case you haven’t been following along at home, Kahlúa coffee liqueur offered up a challenge to participants in the Cocktail and Spirits Online Writers Group (CSOWG.org) online chat room event – The Mixoloseum – to create a Kahlúa Brunch Drink perfect for the industry’s premier cocktail festival that starts up July 21 in New Orleans. Then we let loose Head Bartender and 2010 Tales Apprentice Meaghan Dorman of NYC’s The Raines Law Room to stir up the beverages for our thirsty judges. A panel of beverage industry and marketing professionals together selected Stutz’s “Black Paloma” from a group of finalists, many of which I featured here, here, here, oh, and here. 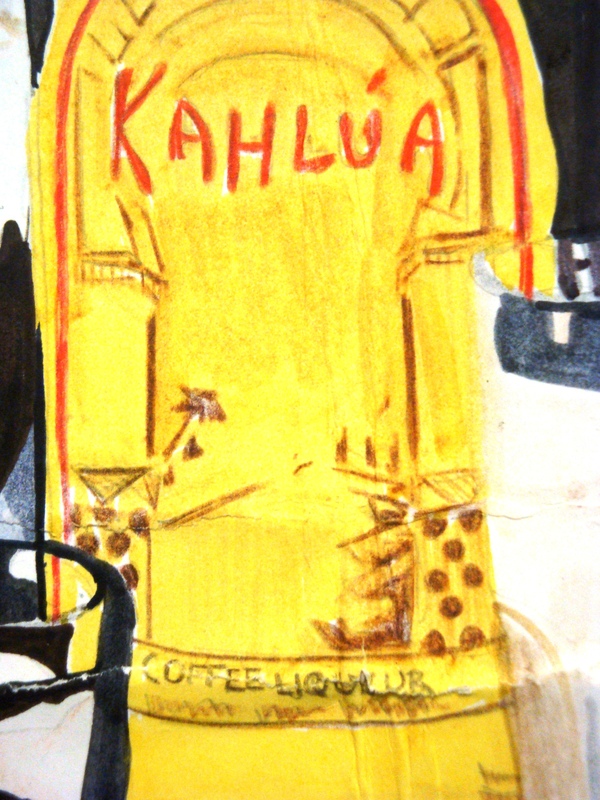 Kahlúa, the world’s number one coffee liqueur, will be serving delicious java and Kahlúa concoctions daily from 8:30 – 10:30 am at the Tales of the Cocktail Kahlúa Coffee Bar in NOLA. Along with an assortment of hot and iced brews, Stutz’s “Black Paloma” recipe will be stirred up by bartenders from many notable New Orleans hot spots. Method: Fill the glass with ice and add the tequila, Kahlúa, salt, and juices. Top it off with club soda. Congratulations to Rick for his phenomenal Kahlúa Brunch Drink recipe. We can’t wait to start each day with a Black Paloma at Tales! 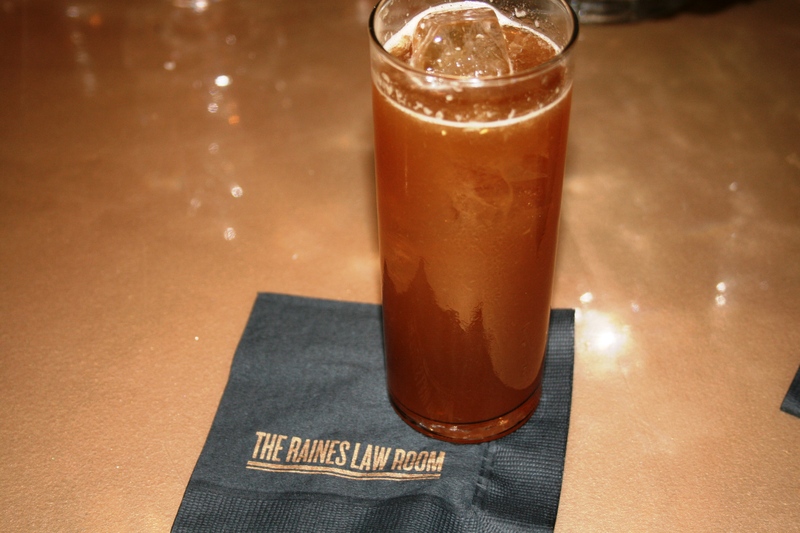 And many thanks to Meaghan and Kyle of Raines Law Room for stirring up all of our delicious finalists. 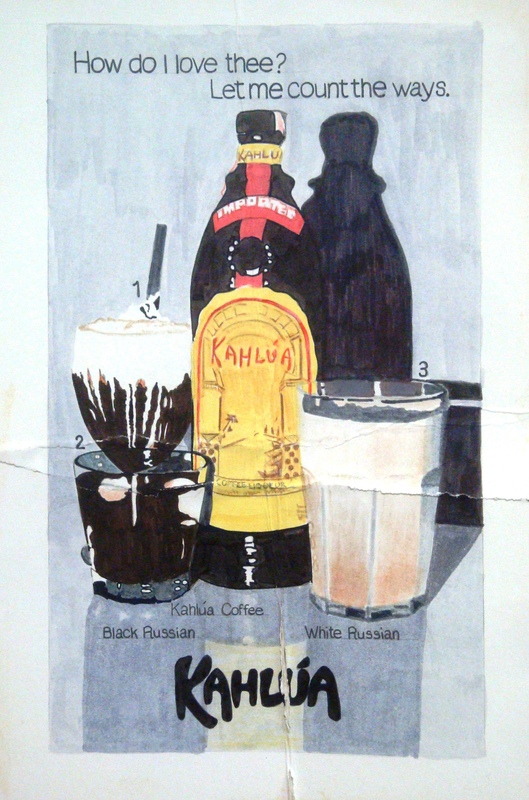 My mom's winning ad sketches for Kahlúa campaign back in 1979. Way to go, Mom! Makes me thank our lucky stars for design software today. Don’t adjust your dials, cocktailians. The old Kahlúa ad you have just stumbled upon is surprisingly not a feature on A Dash of Bitters , it’s still me here at Cocktail Culture. Here are two more drinks that were submitted during a Kahlúa-sponsored Thursday Drink Night in the Mixoloseum and were up for consideration to be featured at the Kahlúa Coffee Bar at Tales of the Cocktail. Look at all that attention to detail! Shake/strain into a pint glass half-filled with ice. Top with grated nutmeg and 3 cardamom speared on a cocktail pin. Shake with ice, strain, and garnish with a grated coffee bean. 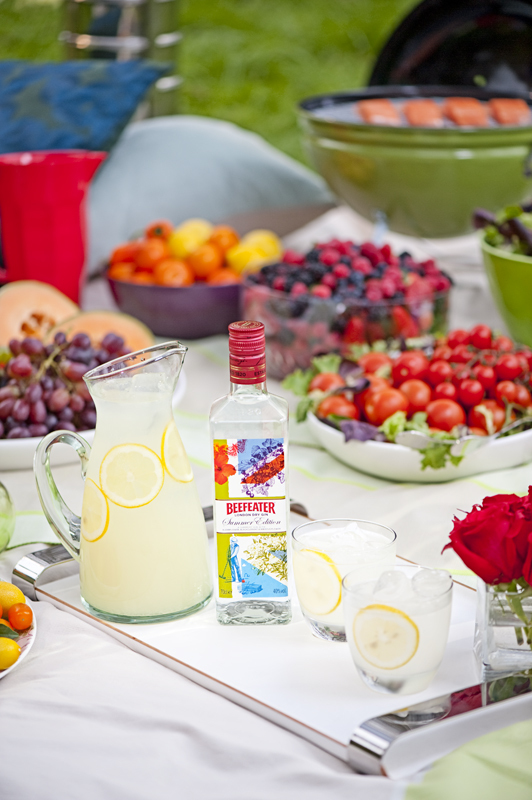 On the heels of the summer solstice occurring this week, Beefeater Summer Edition gin is sponsoring tonight’s session of Thursday Drink Night. TDN is the brainchild of The Mixoloseum, home to a group of the most admired cocktail and spirits bloggers in the industry. Bloggers, aficionados, and home enthusiasts alike will gather in the chat room to discuss the limited edition gin and sample it in a variety of original drink recipes. Never been to the Mixoloseum chat room before? Well, Thursday Drink Night is the perfect opportunity to check it out! And, new members are always welcomed. Just proceed to the web site, create a user name and password and – voila! – you’re logged on. The event gets underway around 7:00 p.m. (Eastern time) and lasts into the wee hours of the morning. If you’re not around for the chat, you can also follow the action in the Mixoloseum via Twitter. I’m sure I’ll be tweeting up a storm as well. Join us early in the evening, if possible, to catch Pernod Ricard’s Director of the Gin Portfolio, Clare Kanter, as she shares with us her insights and admiration for the Beefeater line of gins. It’s an evening not to be missed! We hope to see you in the chat room! If there was one ingredient I was excited to see in the Kahlúa-sponsored Thursday Drink Night (well, besides the Kahlúa, duh…) it would have to be the appearance of Fernet Branca. Yes, Fernet, that bitter Italian digestif, has a soft spot in my heart. Here are a few more submissions for the Kahlúa Brunch Drink Challenge that spurred from the Mixoloseum chat room, capitalizing on the Kahlúa-Fernet duo. Maybe you’ll see one of these tipples featured at the Kahlúa Coffee Bar during Tales of the Cocktails! You’ll have to come by and find out. Muddle lemon peel, add Lairds Bonded, Kahlúa, Fernet Branca, and Bénédictine. Shake & strain. With Memorial Day coming up this weekend, the unofficial start of summer is upon us. What better way to celebrate than with a new gin!? Beefeater Summer Gin is the latest creation from master distiller Desmond Payne, and this lighter style gin is perfect for the warm weather season. 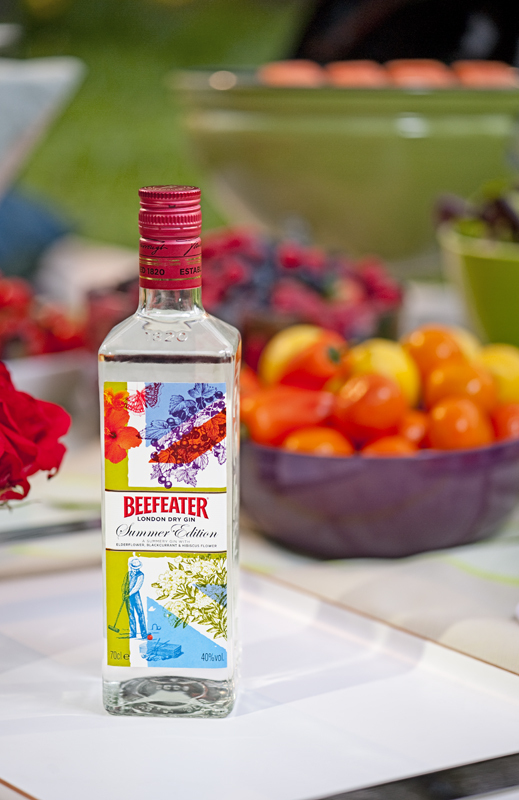 In addition to the 9 natural botanicals used in the original Beefeater London Dry Gin, Beefeater Summer Gin features elderflower, black currant, and hibiscus. It’s simply delicious! Stephanie and I were lucky enough to sneak an early taste of the product back in March and it knocked our socks off! Beefeater Summer Gin will be sponsoring Thursday Drink Night over at the Mixoloseum on Thursday, June 24th, so there are sure to be a bevy of new cocktail ideas to come, but there’s also something to be said for keeping it simple and letting this gin shine. 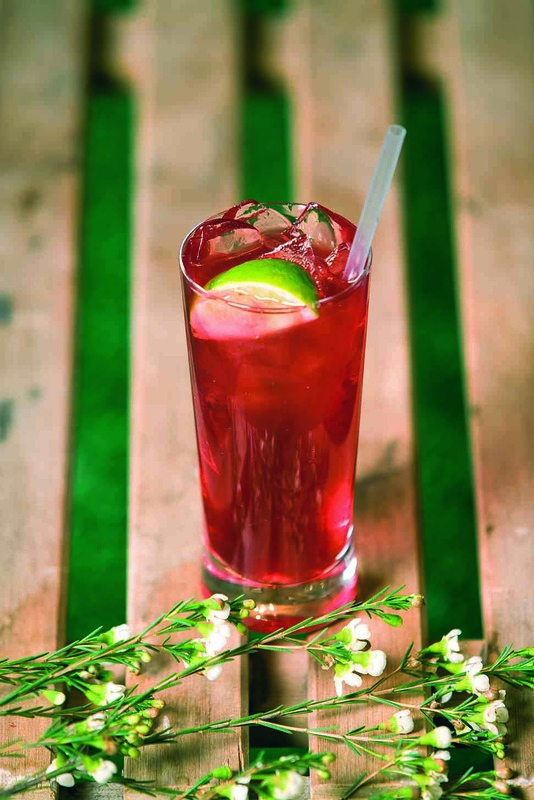 For easy summer-sipping, it’s delightful when mixed with just Cranberry Juice and lime! Combine ingredients in a tall glass with ice. Garnish with lime wheel. Serve a pitcher of that alongside some Blueberry Lemonade and you’ve got a festive red & blue look for Memorial Day! Keep in mind, Beefeater Summer Gin is a limited edition product. It’s only available in 750ml and comes with a price tag of about $19. It will only be available in retail stores through the end of summer, so make sure to get your hands on some early and often! You won’t regret it!